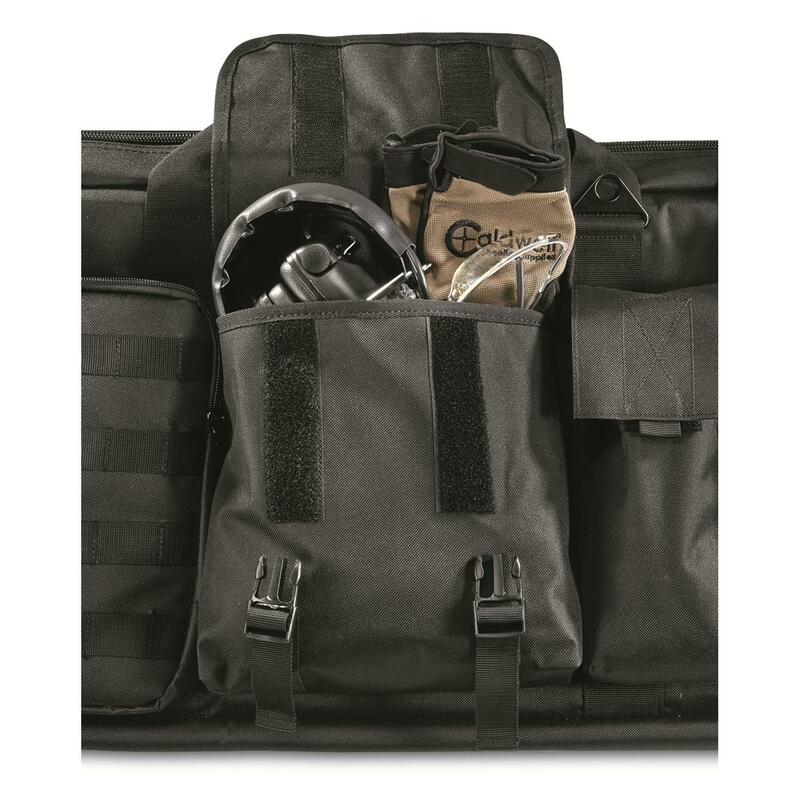 Holds 2 rifles, 2 handguns and 6 mags. 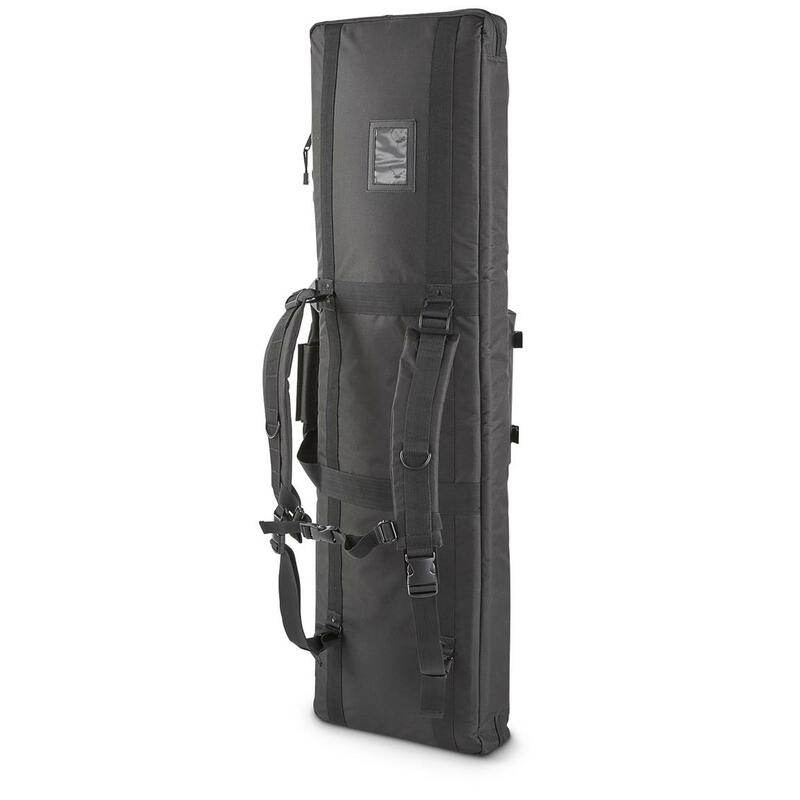 Safe and sound, in foam-cushioned casing surrounded by a rugged nylon exterior. 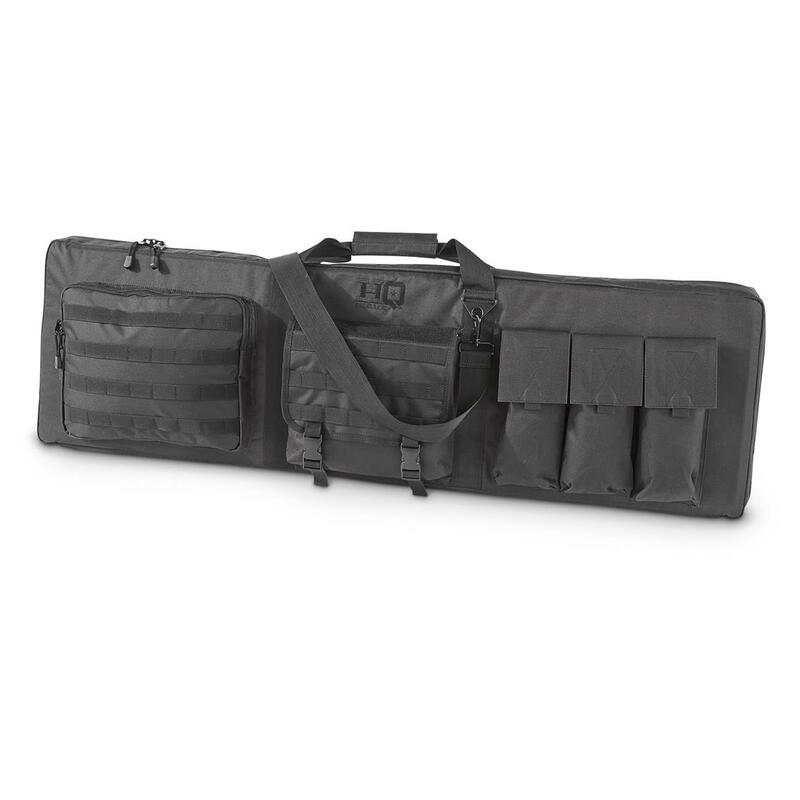 It also has a padded inner sleeve that folds out for a shooting mat! Now that's an extra bonus to help you out next time you're out at the range. And not only does this case have a carry handle, there are also backpack straps to give you flexibility for how you want to comfortably carry your guns and ammo. 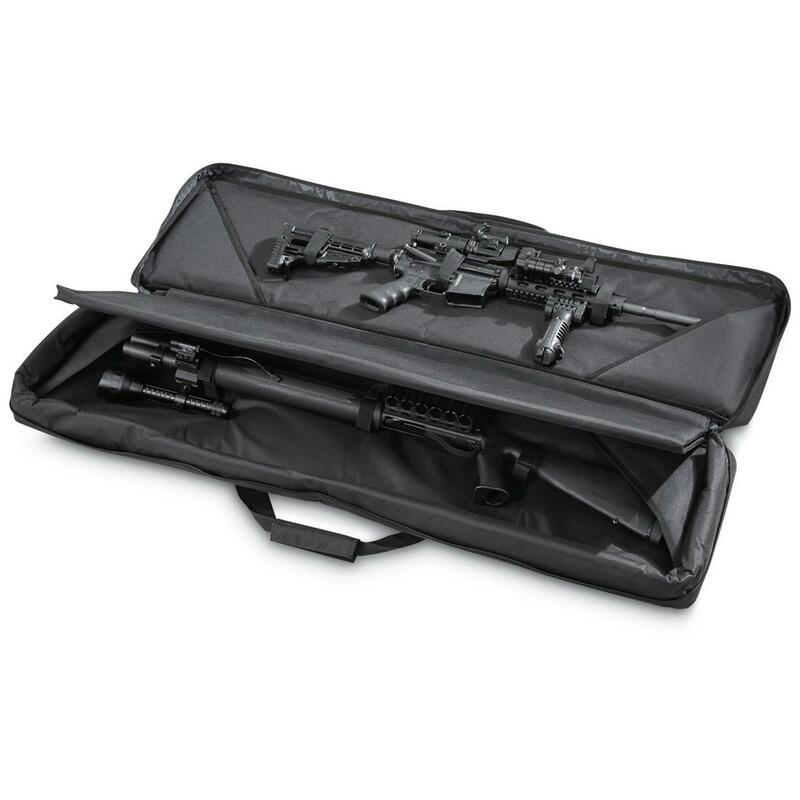 For protection and practicality, this Case will truly have you feeling at home on the range! 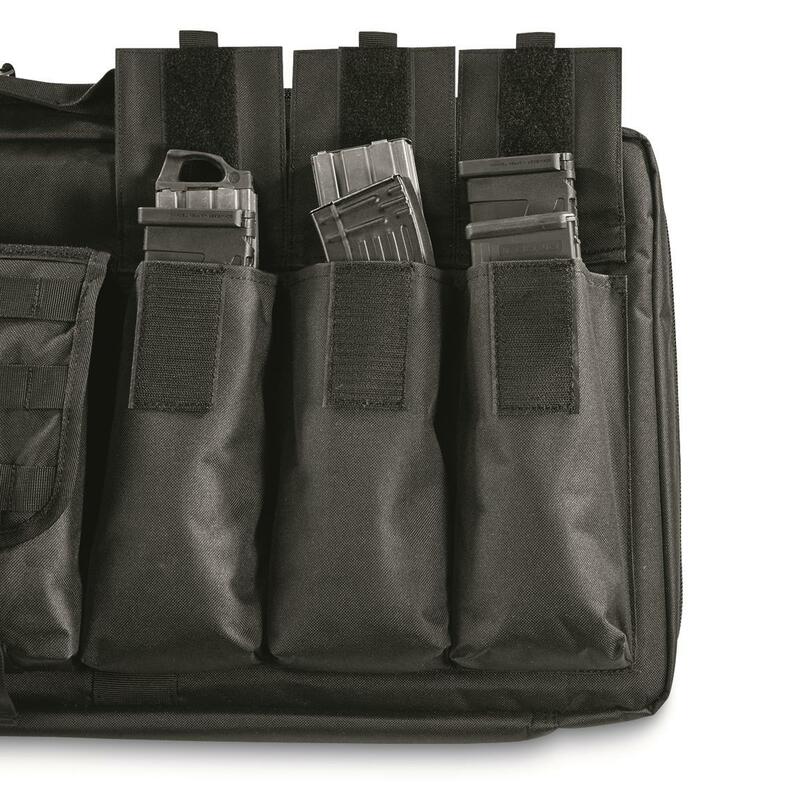 Carry your firearms the right way...order yours today! 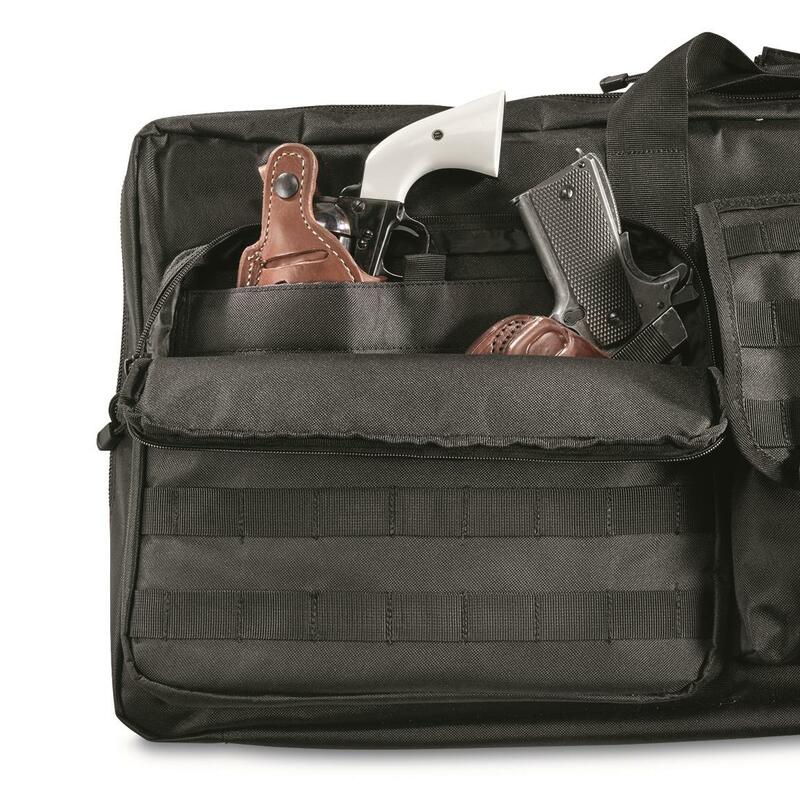 Pistol Pocket: 13"w. x 10"h.
Interior dimensions: 14.5"h. x 4"d.
Interior length: 36", 46", or 52"